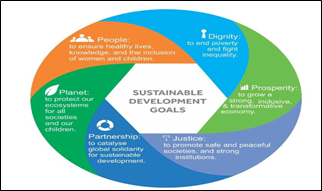 The report also underscores that an integrated sustainable development agenda requires an equally synergistic framework of means for its implementation, including financing, technology and investments in sustainable development capacities. In addition, the report calls for embracing a culture of shared responsibility in order to ensure that promises made become actions delivered. To this effect, the report proposes a framework to be able to monitor and review implementation, based on enhanced statistical capacities and tapping into the potential of new and non-traditional data sources, and a United Nations system “fit for purpose” to address the challenges of the new agenda. Achieving dignity in the next 15 years is possible if we collectively mobilize political will and the necessary resources to strengthen the multilateral system and our nations.